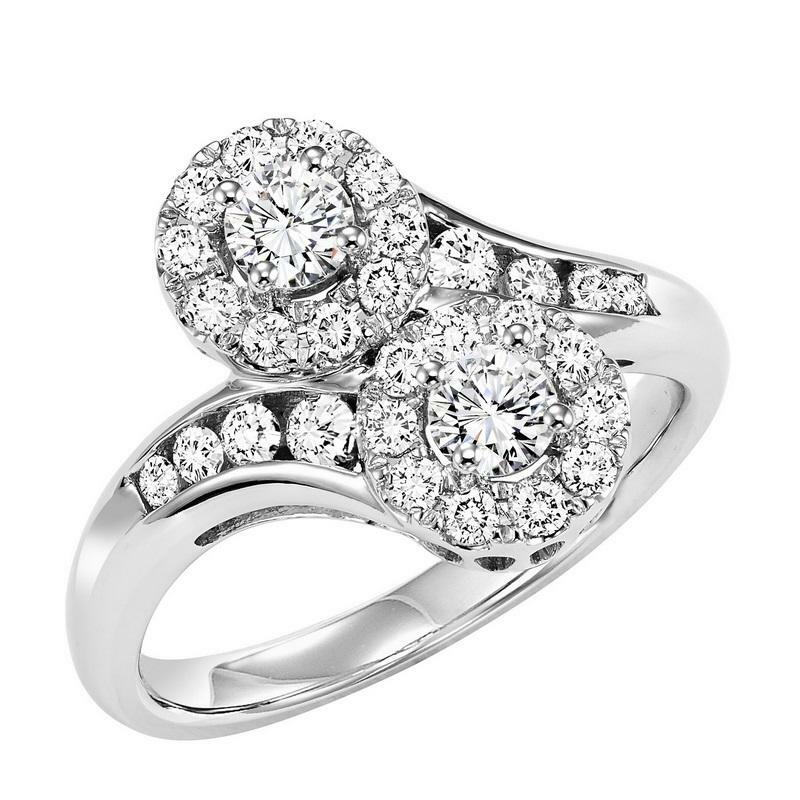 Two round diamonds fill curves of 14 karat gold in this extraordinary two-stone ring for her. Halos surround the center diamonds with additional diamonds decorate the band, bringing the total diamond weight to 1/2 ctw. From the Twogether collection.